This unique cushion comes with the finest detailed embroidery that will decorate the little ones room beautifully. This cushion can both be used to play with and can easily be combined with the other cushions from the savannah series to add an extra decorative look to the room interior. 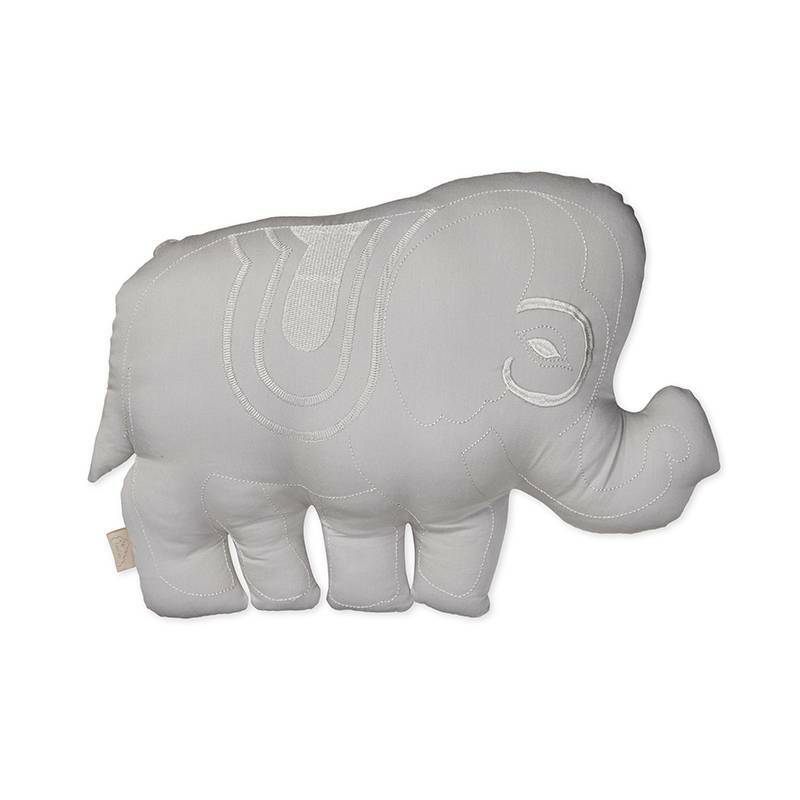 The elephant cushion comes in three different colours: Grey, Mint and Blush. The cushion filling is pure organic cotton which makes the product 100% GOTS-certified. The pillow is handmade and therefore the look may vary slightly from the picture.